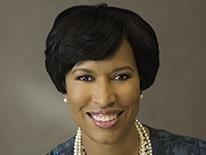 (WASHINGTON, DC) – (RealEstateRama) — As the partial federal government shutdown extends into its second month, Mayor Bowser and the DC Housing Finance Agency (DCHFA) have announced a new program to provide mortgage assistance to District homeowners who are furloughed federal government employees. Through the District of Columbia Mortgage Assistance Program (DC MAP), financial assistance will be made available to qualified homeowners in the form of a zero-interest, recourse loan. DCHFA has allocated $9,000,000 for DC MAP and qualified homeowners will be able to receive up to $5,000 a month.